Cardolite® LITE 3040 is a solvent free, low viscosity phenalkamide Epoxy curing agent. Exhibits excellent mechanical properties and excellent adhesion. Provides outstanding durability through excellent chemical resistance, water resistance. Protects surfaces from highly corrosive environments and harsh atmospheric conditions. 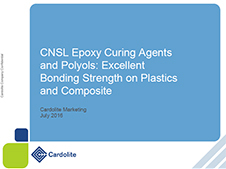 Shows excellent bond strength, similar to polyamides to various substrates, i.e. metals, composites, plastics. 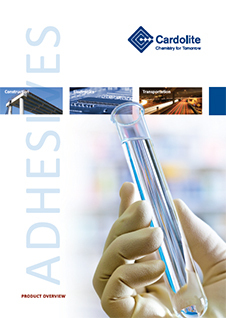 Cardolite® LITE 3040 is suitable for industrial and transportations epoxy adhesives.